Kasey Suffredini is President of Strategy at Freedom for All Americans. He is a transgender attorney who has spent the past two decades leading campaigns, managing organizations, and developing policy. Kasey’s work has resulted in over 100 policy reforms in nearly every U.S. state and at the federal level and in the election of hundreds of pro-LGBTQ candidates to office, including the nation’s first openly gay state attorney general, Massachusetts Attorney General Maura Healey. Since joining Freedom for All Americans as President of Strategy in 2015 in one of the most politically divisive and anti-transgender climates in modern American history, Kasey has designed and overseen bipartisan legislative campaigns to successfully secure a number of national firsts. These wins include passing the country’s first standalone statewide transgender public accommodations law and passing comprehensive statewide transgender nondiscrimination protections for the first time in a Republican-controlled state. From 2016-2018, Kasey co-chaired the historic Yes on 3 ballot campaign in Massachusetts, winning the first statewide popular vote on transgender rights in U.S. history by a landslide two-thirds margin (68-32%). 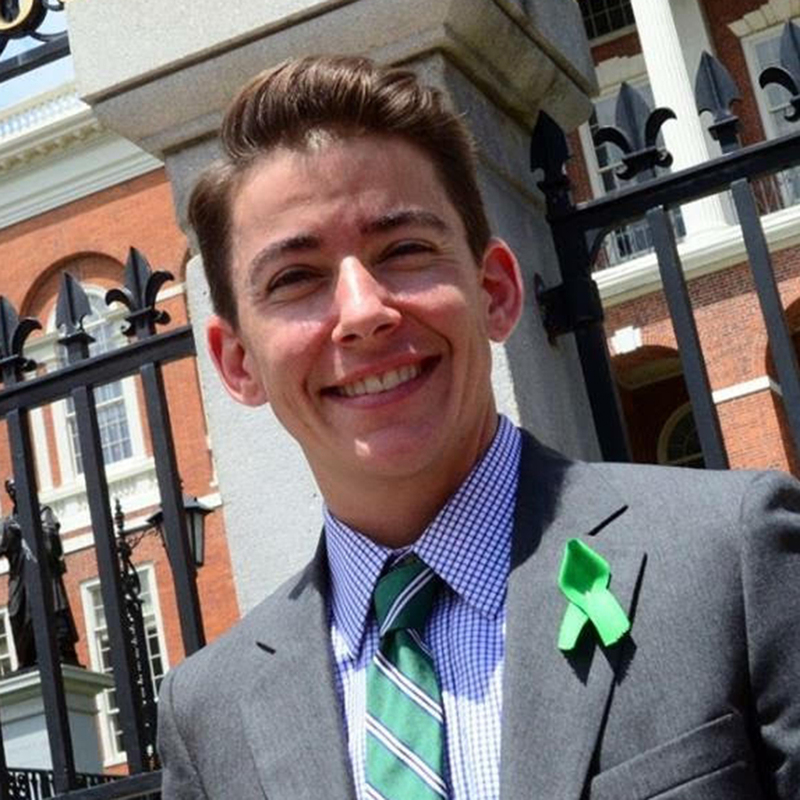 Immediately prior to joining Freedom for All Americans, Kasey was Executive Director of MassEquality, where he developed and led successful campaigns to secure comprehensive transgender nondiscrimination protections, transgender-inclusive health insurance, LGBTQ-inclusive anti-bullying protections, and the nation’s first statewide commissions to address LGBTQ youth homelessness and LGBTQ aging. Kasey is a frequent spokesperson on LGBTQ issues and has been quoted in hundreds of TV, radio, podcast, and print outlets. He is a nationally recognized campaign strategist and expert on LGBTQ issues and advocacy, and has been honored for his advocacy by the New Leaders Council, the American Civil Liberties Union, Harvard Law School, and the National LGBT Bar Association. He received a B.A. from the University of California, Berkeley and a J.D. from Boston College Law School. Freedom for All Americans is the bipartisan campaign to secure full nondiscrimination protections for LGBTQ people nationwide. Our work brings together Republicans and Democrats, businesses large and small, people of faith, and allies from all walks of life to make the case for comprehensive non-discrimination protections that ensure everyone is treated fairly and equally. For press inquiries and further information about Kasey Suffredini, contact our Director of Media Relations: Angela Dallara – angela [at] freedomforallamericans.org. March 31, 2019 FFAA's President of Strategy Kasey Suffredini reflects on both recent victories and continuing challenges this Transgender Day of Visibility, 2019. The Advocate • July 30, 2018 The New Hampshire win offers lessons for coming legislative battles, writes Kasey Suffredini of Freedom for All Americans. Commonwealth • November 11, 2017 For many, Election Night 2017 was a glimmer of hope after a downright dark political year. Races all over the country made history. One of the most significant was the election of Danica Roem in Virginia, one of the first openly transgender people elected to a state legislature in the United States. History was recorded, too, in Minneapolis, where voters elected not one, but two, transgender people of color to the city council. The Advocate • October 26, 2017 It’s hard to believe that President Donald Trump has been in office for nearly nine months — and it’s even harder to comprehend the way many of his policy upheavals are already taking a human toll on Americans all across our nation. Many communities are impacted right now, including LGBTQ Americans. And it’s stunning how much has changed in such a short period of time. CNN • April 5, 2016 President of Strategy Kasey Suffredini introduces the Transgender Freedom Project. August 20, 2018 The video features campaign staffers and stories of those impacted by the existing protections. The Daily Beast • July 30, 2018 Massachusetts may have a lauded history on gay rights, but polls show a tough campaign for trans equality activists as they fight to preserve anti-discrimination protections there. April 19, 2018 Kasey Suffredini, Freedom For All Americans' President of Strategy, speaks about his nearly two decades in fighting for nondiscrimination protections and how people can get involved at the local, state, and national levels. The Boston Globe • April 17, 2018 Article from The Boston Globe speaking about Massachusetts being the next battleground atste for transgender rights. The Boston Globe • April 13, 2018 A profile of the Domingo family and their transgender son Micah. INTO • February 20, 2018 Kasey Suffredini is quoted in this article about anti-transgender ballot initiatives. The Daily Beast • January 4, 2018 Studies show that states lose millions when they discriminate against LGBT people. They are also losing out on potentially billions of dollars by failing to pass pro-LGBT laws. The New York Times • August 16, 2017 Kasey Suffredini is quoted about the failure of the Texas legislature to pass an anti-transgender bathroom bill in the 2017 legislative session. Bustle • January 26, 2017 Kasey Suffredini is a transgender attorney with nearly two decades of experience working on LGBT issues, and the chief program officer of Freedom for All Americans and director of the group's Transgender Freedom Project. AtlanticLIVE • November 18, 2016 A panel featuring Kasey Suffredini and others discussing the role of minority groups following the 2016 election. NECN Boston: The Take With Sue O'Connell • July 12, 2016 Kasey Suffredini and other guests describe what's on track for transgender rights following the passage of Bill S.2407 in Massachusetts. KTVU FOX 2 • April 13, 2016 KTVU talks to Kasey Suffredini about the ongoing movement for transgender non-discrimination.